4HMT-AFRICA consists of independent tree nursery and tree planting service-learning projects in a number of African nations, where youth volunteers are learning about botany, horticulture, environmental science, forestry, and climate change, and having fun planting trees. 4HMT advocates for native and locally adapted trees, but also promotes fast-growing trees that can meet needs within the communities including enhanced food security, erosion control, windbreaks, heat and water control. Below is a picture of 4H Africa. 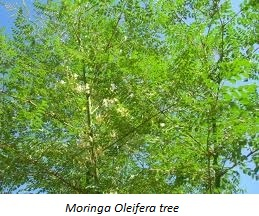 For example, Moringa oleifera is a miracle tree whose leaves, seeds, and pods can provide a high level of nutrition. Mango has a further advantage that the excess fruit can be sold into the fruit juice market, and help people raise incomes. While 4HMT-AFRICA started out as a climate change project, it has now evolved into an economic development project. Please read through the pages for 4HMT projects in Malawi, Uganda, Tanzania, Ghana, and Kenya. 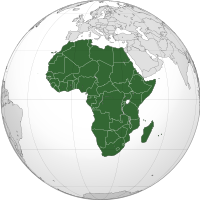 Below are the links all the countries of Africa that 4HMT currently operates in.